Two months ago was our initial release. We got a lot of feedback and have implemented several new features. Cards ID in URI are GitLab issues ID. 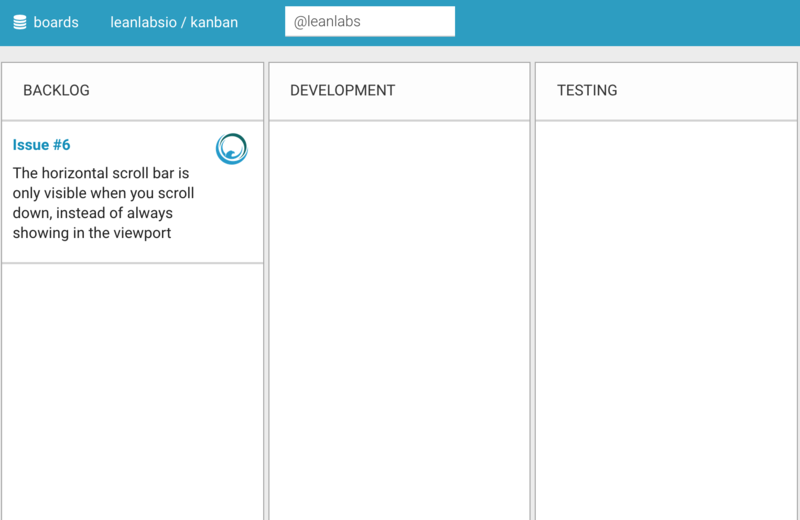 Example: demo.kanban.leanlabs.io/boards/leanlabsio/kanban/cards/18 and gitlab.com/leanlabsio/kanban/issues/18. Simplified Tab navigation in browser window. You can filter card by user name. 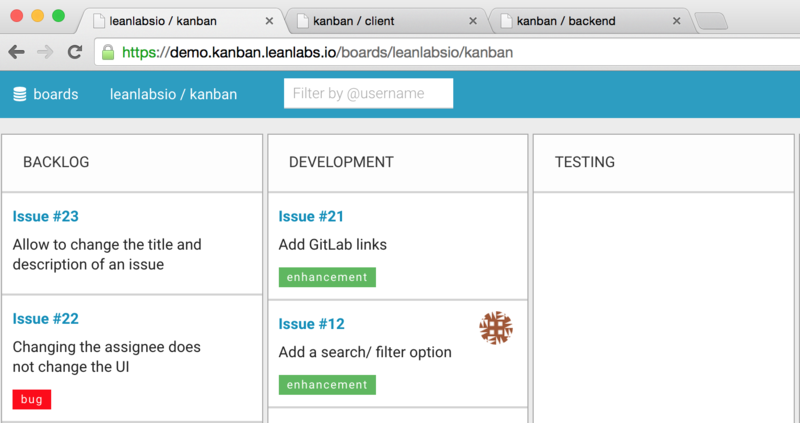 We implemented simple filter by username for cards on board with “@” annotation. To show only cards assigned to user with name “user” you can type “@user” in filter field and press “Enter”. To show all cards that have assignee you can simply type “@”. 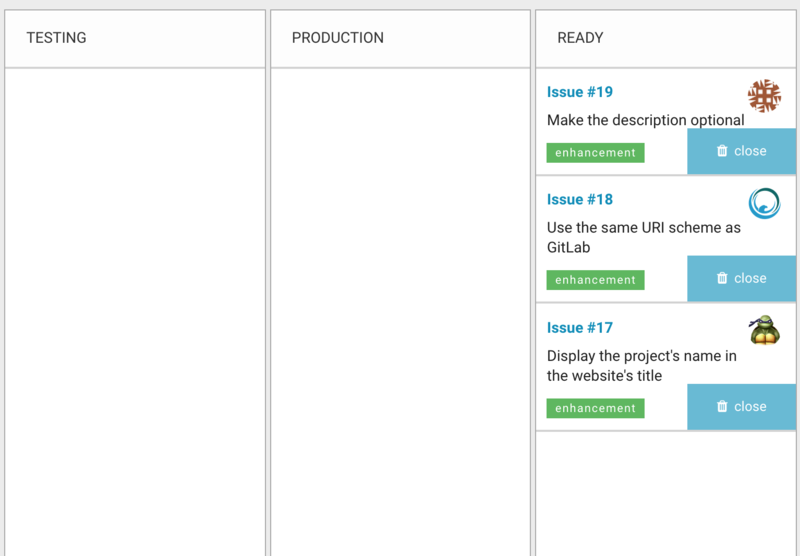 Simplified validation rules when creating a card reflecting GitLab rules. Now you can leave “Description” blank when creating card. Fast cards close. We added “Close” button for cards in last column. You don’t need open card for to close it. We are pleased that our project moves forward, we hope that these updates will be useful to you.